When women become pregnant, some are excited to use the next nine months as a free pass to eat anything they want. And others are concerned about gaining too much weight, thinking about how they will lose it all after giving birth. No matter your plan, it’s important to know that what you eat and drink during pregnancy is the main source of nourishment for your baby – helping him or her grow and develop. “When you’re pregnant, eating healthy foods is even more important than it was before. This means you should be getting plenty of fruits, vegetables, whole grains, lean proteins, healthy fats and low-fat dairy,” says Dr. Manuel Arreguin, obstetrician-gynecologist at Geisinger Wyoming Valley Medical Center. In addition to eating a well-balanced diet, make sure you work these six nutrients into your pregnancy diet. Both nutrients are crucial to include in your diet while you’re pregnant because they help to prevent birth defects. “Folate is a B vitamin that helps prevent neural tube defects and serious brain and spinal cord abnormalities. The synthetic form of folate in supplements and fortified foods is known as folic acid, which has been shown to decrease the risk of a preterm delivery,” says Dr. Arreguin. Before conception and throughout your pregnancy, you need 600 micrograms of folate or folic acid per day. Both you and your baby need calcium for strong bones and teeth. Pregnant women should be getting 1,000 milligrams of calcium a day – pregnant teens (ages 14 to 18) need slightly more, about 1,300 milligrams per day. Vitamin D also supports you and your baby’s bone strength. “Your body requires vitamin D to absorb calcium. Vitamin D works hand-in-hand with calcium to make sure you and your baby’s bones and teeth are strong and healthy,” explains Dr. Arreguin. Sunlight is the best source of vitamin D, but relying solely on sunlight may leave you vitamin D deficient. Protein in your diet is important for your baby’s growth, especially during your second and third trimesters of pregnancy. “Protein is a crucial building block your body uses to create muscle, hair, skin and bones. That’s why it’s so important to your pregnancy diet. It ensures your baby’s growth is normal, preventing a low birth weight. And it helps mothers maintain their body’s tissue health,” says Dr. Arreguin. This nutrient is so important during pregnancy that the average daily requirement jumps from about 46 grams to 71 grams of protein per day – and you’ll need even more if you’re carrying multiples. Making sure there’s enough iron in your pregnancy diet prevents anemia, a condition in which you don't have enough healthy red blood cells to carry adequate oxygen to your tissues. “Your blood volume expands to accommodate changes in your body and help your baby make his or her entire blood supply while you’re pregnant. This means your need for iron increases,” explains Dr. Arreguin. If you don’t have enough iron, you might become fatigued and more susceptible to infections. In addition, the risk of preterm delivery and low birth weight may also be higher. Although you may be eating a healthy diet, you can still miss out on some of the key nutrients you need during your pregnancy. That’s where vitamins and supplements can help you. “You should take a daily prenatal vitamin to help fill any nutrient gaps, ideally beginning this regimen three months before conception,” says Dr. Arreguin. 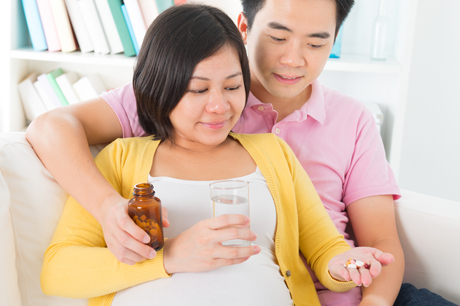 These prenatal vitamins do usually contain iron, but in some cases your doctor may recommend you take a separate iron supplement to make sure you’re getting enough. 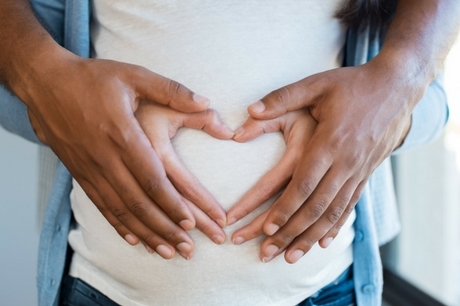 Why is your diet during pregnancy so important? Choosing nutrient-dense foods will help keep you and your baby healthy. And while weight gain is normal, eating a nutritious diet can help you gain weight in a healthy way - making for a healthy baby and mama. As a woman, your health is unique. That’s why we have an experienced team of OBGYNs, certified nurse midwives, nurses and nurse practitioners, dietitians and maternal-fetal doctors to provide the personalized care you need throughout your journey to motherhood. Manuel Arreguin, MD, is an obstetrician-gynecologist at Geisinger Wyoming Valley Medical Center in Wilkes-Barre, PA. If you’re interested in scheduling an appointment with one of our caring women’s health specialists, call 800-275-6401.